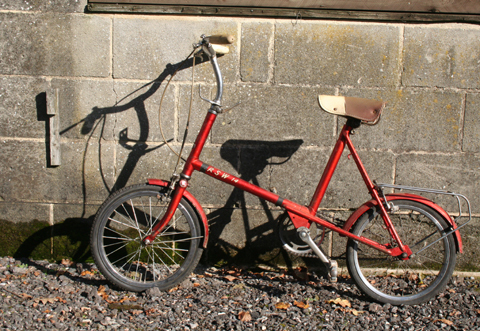 The RSW 14 is the juvenile version of the Raleigh RSW 16. 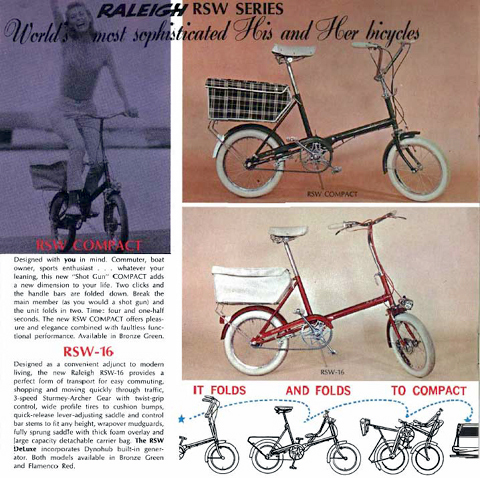 RSW stands for ‘Raleigh Small Wheel’ and was the company’s answer to the Moulton. 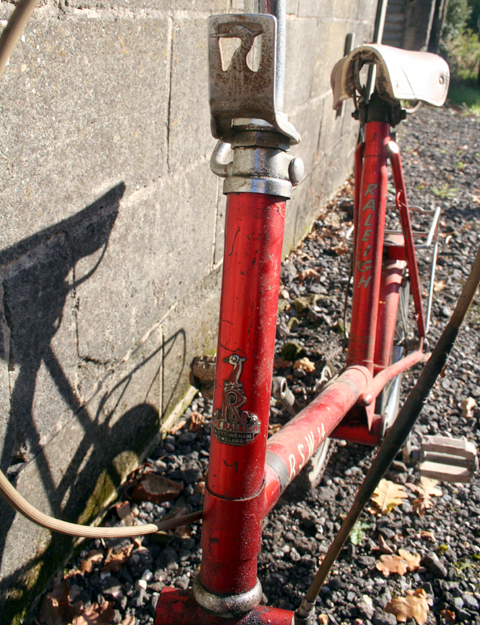 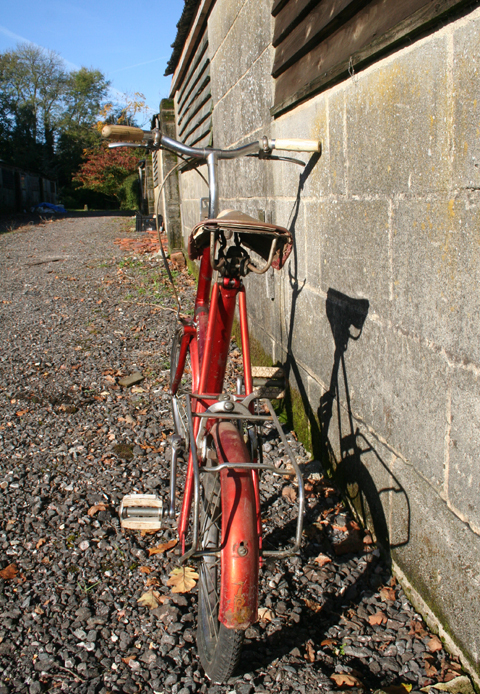 I found this one while I was clearing out a garage-full of bicycle spares to take over to my friend Pat in France. 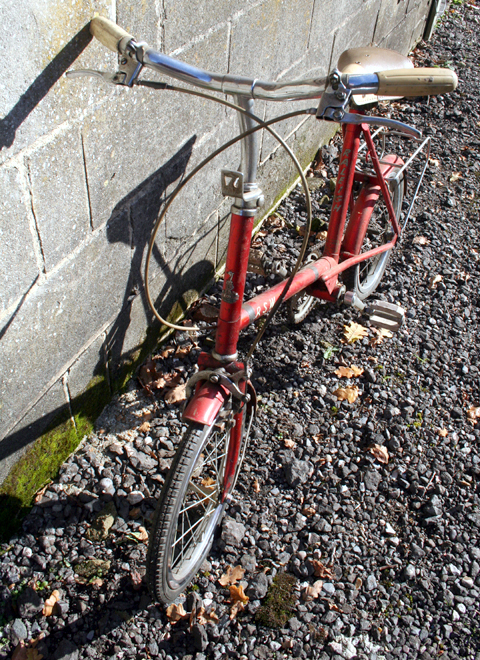 I don’t know much about 1960’s bicycles, but this one seems in good original condition, so it’s been added to my collection.